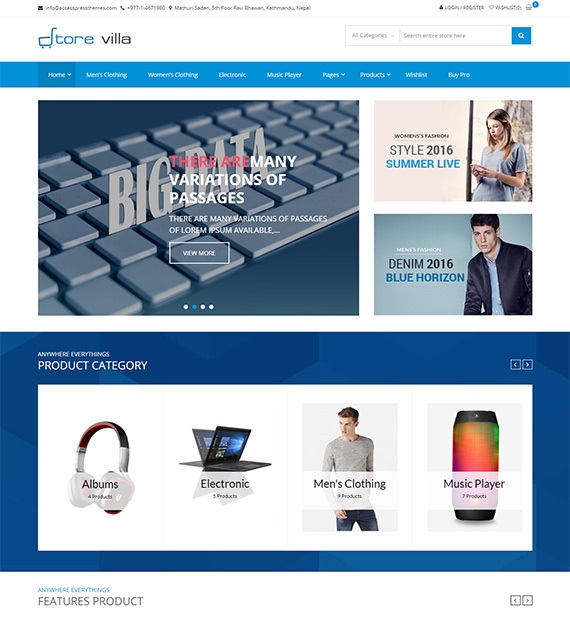 StoreVilla is a modern, clean and elegant WordPress eCommerce based theme that is powerful and yet user-friendly. Offering all the elements you want to create the beautiful online store website that you want, StoreVilla features a responsive and elegant layout design! The powerful WooCommerce plugin and its extensions enable the beautiful online store you always wish to have! Super flexible you can use it for fashion, jewelry, clothings, cosmetics as well as any type of products you wish to sell.